Blue Heron Pointe community is sold out and is not in active development by builder. If you are interested in Blue Heron Pointe or similar new home communities, contact us today! Our agents are very familiar with new and newer construction in Chesapeake, and can identify resale opportunities in Blue Heron Pointe, as well as builder inventory available in nearby or similar communities in Chesapeake. To view 3 more pictures, interactive maps and the full, detailed description of the Blue Heron Pointe community, please Login. Buying an established home in Blue Heron Pointe marries value with quality new construction. These homes in Chesapeake, VA, are ideally located near NAS Oceana, the Coast Guard Finance Center and Naval Support Activity Northwest Annex. Enjoy amenities that cities can offer while taking time to relax in the peaceful tranquility of Hampton Roads. 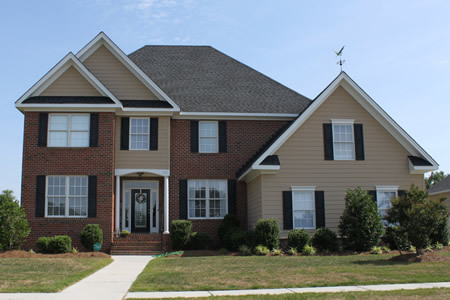 Blue Heron Pointe happens to be situated in one of the most sought-after school districts in southeast Virginia. This development’s new homes are served by Hickory Elementary, Hickory Middle and Hickory High. These new homes are right in the middle of an outdoor lover’s paradise. Activities are around every corner of this new construction development. Swing those clubs at exciting Battlefield Golf Club. Tour paths by the Elizabeth River in Bells Mill Park. Pack a picnic and head over to the Great Bridge Lock Park for a carefree afternoon. Check out the beauty of trees and foliage at the Chesapeake Arboretum. Blue Heron Pointe is also perfect for those who like indoor activities. Learn about the solar system at the Chesapeake Planetarium. Before, during and after building a new home, reading up on the latest construction trends may be a good idea. Curl up with a good book or at least an informative book from the Chesapeake Library. With several locations scattered across the city, these libraries offer fun programs for all ages thought the year. Shoppers will also like how these new homes are within close proximity to malls, boutiques and discount stores. Send me more information about communities similar to Blue Heron Pointe. Our agents gladly offer FREE property tours of Blue Heron Pointe, Chesapeake and homebuyer consultations to all serious buyers.